About: Denise Morrison is one of three sisters who have all enjoyed very successful business careers. 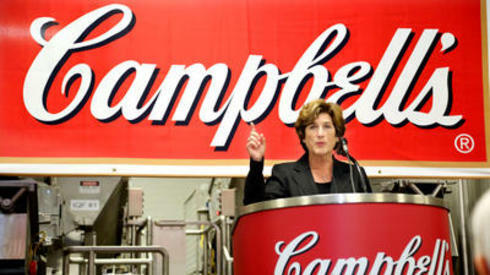 As such, the family was featured in a Wall Street Journal article entitled, “Raising Women to be Leaders.” Morrison joined Campbell Soup Company in 2003 and quickly climbed the ranks, she was named President and CEO in August of 2011. Since joining Campbell, Morrison has been named the 80th most powerful woman in the world by Forbes magazine not to mention the 25th most powerful Woman in Business by Fortune magazine. Morrison currently resides in Princeton, New Jersey with her husband and has two grown daughters.